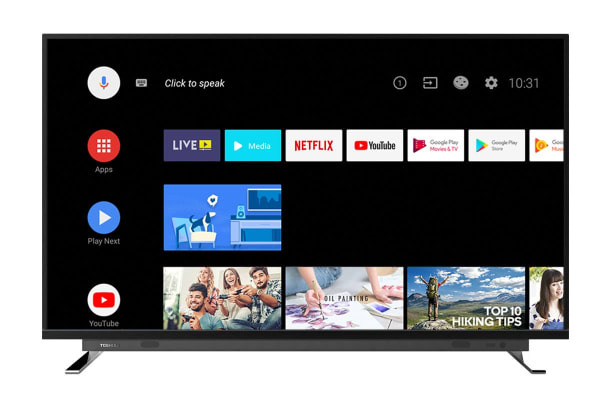 Immerse your senses with an all-encompassing audio and visual experience on this stunning Toshiba TV, featuring built-in Chromecast, Google Assistant and Dolby surround sound with DTS; all on an almost bezel-less display. 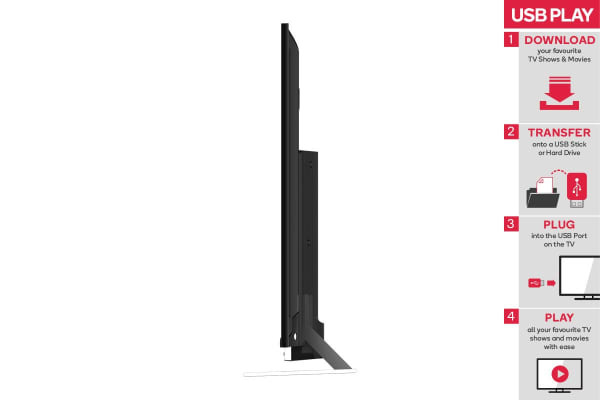 Experience 4K Ultra HD visuals that draw you into the picture with the sleek edge-to-edge display of the TOSHIBA 55” UHD LED Smart TV (U7750, Android TV™). 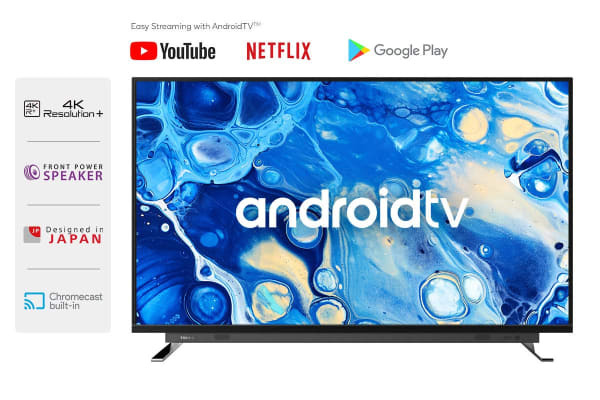 Thanks to Android TV™ with built-in Chromecast, casting your favourite streaming services like Netflix, YouTube, Stan and Spotify, from your devices has never been so effortless. When you’re not casting, you can can easily launch the built-in Netflix app at the touch of a button. Sync up your Google Assistant devices thanks to Android TV™ and check in on your Nest Cam security cameras or dim your Philips Hue lights with just the sound of your voice, letting you control your compatible devices all in one place. Enhance your viewing experience with Dolby DTS TruSurround™ and the front power speaker, analysing each individual surround to reproduce incredibly authentic audio that makes you feel as if you’re right in the action. DTS delivers an immersive audio experience that heightens your favourite movies and TV shows. Supports Dolby Digital audio for rich enhanced sound.